HILO, Hawaiʻi - "If you want to get people back to work, build the roads," Susan Kim told the Hawaiʻi County Council. "We are asking for roads, not a study, not a framework." 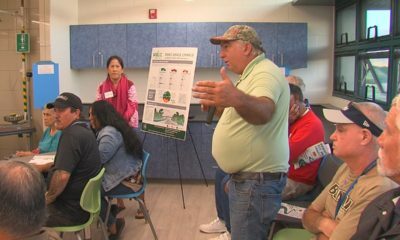 (BIVN) – As the one-year anniversary of the 2018 eruption of Kīlauea on the lower East Rift Zone approaches, the County of Hawaiʻi and its residents are still trying to get on the same page as far as the plan for recovery goes. 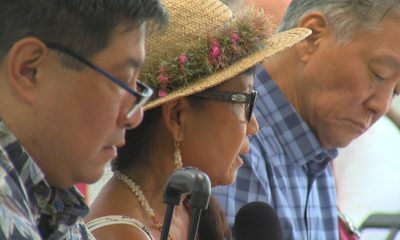 At an April 10 meeting of the Hawaiʻi County Council held in Hilo, Puna resident Susan Kim – a part of the I Mua Lower Puna coalition of homeowner associations and residents – testified on bills relating to the allocation of funds for the eruption recovery. On the agenda: Bill 36 – appropriating an anticipated $20 million state grant for eruption recovery, Bill 37 – adding an anticipated $40 million state loan to the Capital Budget for eruption recovery, and Bill 46 – appropriating $50 million for Highway 132 road restoration. While there are just a few of us here, we represent many more. I did not introduce I mua Lower Puna appropriately during my last testimony. 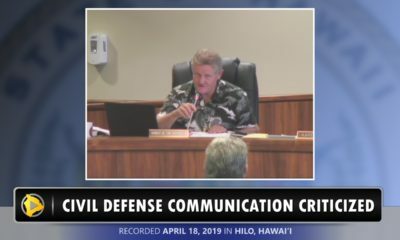 I mua Lower Puna coalition formed out of frustration with County delays and also to support one another while we go through this recovery period. The coalition consists of three homeowner associations: Leilani Estates, Kapoho Vacationland, Kapoho Beach Lots, in addition to Kapoho Kai Water Association, various Kipuka groups, Cape Kumukahi Foundation, Kapoho Land Partnership, Kapoho Land & Development and Kapoho Crater/ Green Mountain. I think this pretty much covers the vast majority of the disaster victims, at least how we define it. Bill 37 says “Island-wide” so it seems there may be some disagreement. So while I am only a single testifier, I know there are alongside me in support of road recovery. Smiley’s petition now has nearly 3,000 supporters. Our goal is to ensure that federal disaster funds (that are collected from tax-payers all over the US) gets prioritized and allocated to the disaster areas and victims. And a reminder of when I say disaster area, I mean, Lower Puna. When I refer to disaster victims, I refer first and foremost to those whose homes are still isolated and those whose homes have been destroyed. And given that I have heard over and over again that the County lacks resources to respond to this type of disaster, what do you do when you lack resources? In my experience, you prioritize. Priority 1: Please go on record encouraging immediate bulldozing and smoothing of Rts 132, 137, Pohoiki and Lighthouse Road and other still blocked sections of roadway AND to make money immediately available for that purpose. For communities that were paying $4M a year to the County in taxes, we are not asking a lot. Maybe 6 miles of road. While Mayor Kim said 132 recovery was No. 1 priority, we are hearing this depends on the federally required alternate study. This does not provide confidence to the community that 132 or any of the County roads will be recovered soon, if at all. The Mayor said he would wait until April and here we are. Pohoiki Access Road was grubbed in 10 days for $30,000 plus the County’s survey crew and excavator. We hear the County spent another $160k for that mile perhaps for the surveyors, excavator and posts. I don’t know because there is no report available to me. So Priority 2: Help the community understand flow of funds and expenditures. Specifically, what I mean by transparency: we,want to see how much has been allocated and the source of allocation. What allocated money is intended to be spent for, how much has been spent and the name of the staff person responsible for the allocated funds. Bill 46 states $50M” funds would be used to restore 3. 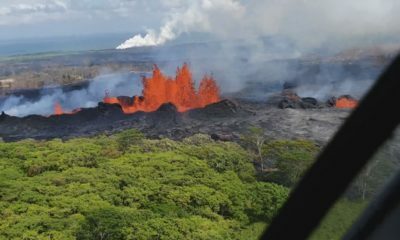 2 miles of road which is inundated by lava in order to provide property owner access and connectivity to Highway 137.” The American Road and Transportation Builders Association describes the typical cost of $2-$3M a mile for completed 2 lanes in rural areas. This figure includes construction, right of way and engineering. 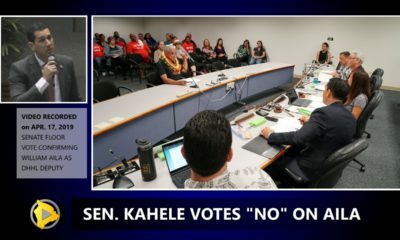 Given this, perhaps Bill 46 can include Rt 137, Pohoiki, Lighthouse, Kahukai, etc. Then in the attachment presented by Diane Ley to Council on March 28, I see the $40M to “Build Complete Communities”. What does “Build Complete Communities” even mean? This is a rhetorical question. I don’t want millions spent on research to answer this question. If you rebuild the roads, we can leapfrog all these studies and frameworks and simply let the community rebuild itself. We need surveyors, bull- dozers, draftsmen, builders, electricians, plumbers to build on our properties. Then the County can tax our new builds. The HOA’s of I Mua Lower Puna are making efforts to secure funds for their private infrastructure. More than 500 of the 700 homes destroyed were along Rt. 132 and 137. Think of how many jobs will be created. Again, the spreadsheet indicates $20M Leg subsidy allocated to “build recovery framework” ($4.7M), “accelerate home construction” ($10M) and “expand rental market” ($3M). I don’ t know what all these specifically mean. Building a framework sounds like slides, studies and papers. If you want to accelerate home construction, build the roads. If you want to get people back to work, build the roads. If you want more rental properties, build the roads. We are asking for roads, not a study, not a framework, the roads that were already there, to be restored. From this spreadsheet, is it unclear to me what monies still remain in the County purse while we wait for HB1180 $60M and what the roadblock is for the remaining money to be dispersed on grubbing and grading County roads. The Council urged County to demonstrate appropriate use of remaining funds. Sue Lee Loy rightly said recovery starts with resources. We seem to have the resources, let’s rebuild the roads. Priority 3: We need your help to remove barriers for Kipuka folks to get access to the Bill 12 funds to help with gravel and grading. I’m confused about Bill 12. The majority of the donation came from PGV. Now, temporary access has been created thanks to Lono and PGV, but I’ m hearing that the residents are passing around a hat for donations just to keep the road passable. Ashley, I know you are working hard on this and have committed $50k to help residents go home. What I am wondering though is, can’t the County waive the grant application or make it easier for the money to go where it is intended to go? Can the Finance Director sign a check to pay for gravel directly to Sanford when it is needed instead of tax-paying, already burdened disaster victims soliciting further donations from their neighbor’s pockets? Perhaps I am too naïve in politics and bureaucracy. But it has been really really challenging, if not impossible to understand when money flows in, where it flows out. Much like the lava, we don’t know where it will flow! Nor can we make a prediction – I’ d like to only be referring to the lava, not the money. A survey was conducted. 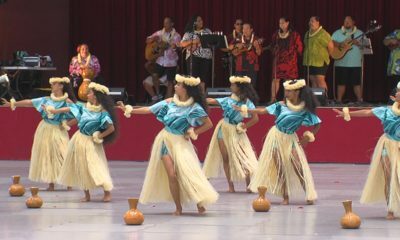 You can view the detailed results on our imualowerpuna.weebly.com website. The results show that over 80% would return to their properties if road access was re-established. The same percentage was interested in building a residence. The survey asked even if there was no water service or electricity, would you still return, around 70% said yes to both. Many of us are familiar with living off-grid as many do all over the islands. Finally, I’ d like to invite you all to a community meeting being held on May 10th at 4pm at Pahoa High cafeteria where you will hopefully have the opportunity to hear from more of your constituents.